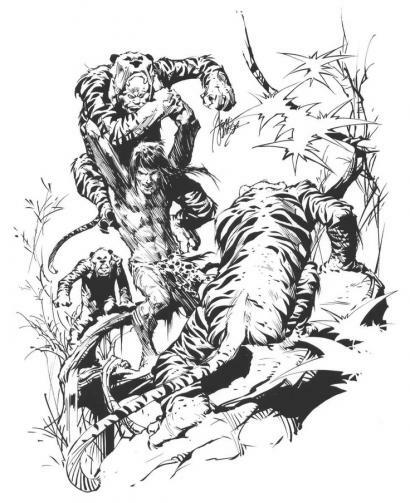 After being recommended by an employee of Lucas Film that Jim Steranko would be a great choice to help design the look of Indiana Jones, George sent over his early concepts of the new hero. 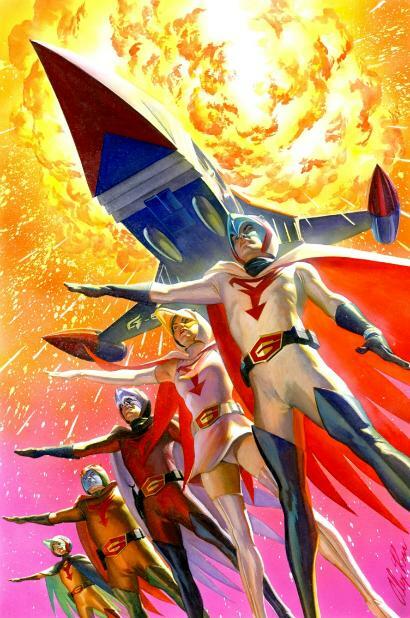 The artist was asked to produce four paintings from the film and was provided reference images from old movies with actors in similar Indy garb, especially (Humphrey Bogart from The Treasure of Sierra Madre) and images from a later Republic Pictures serial (Zorro Rides Again) that originally helped inspire Lucas' character many years before. 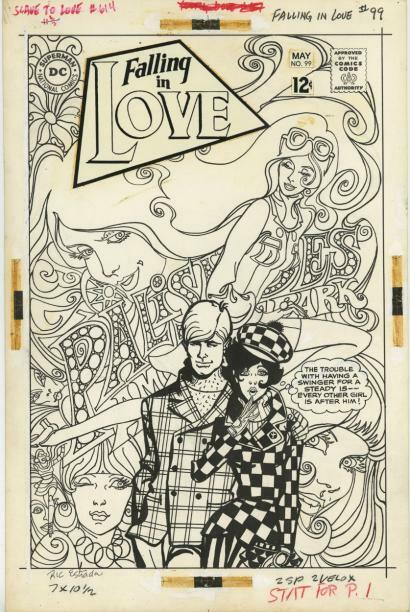 Lucas said he just gave Jim something that would provide the essence of the adventurer, so the artist could better fully develope it into the real thing. 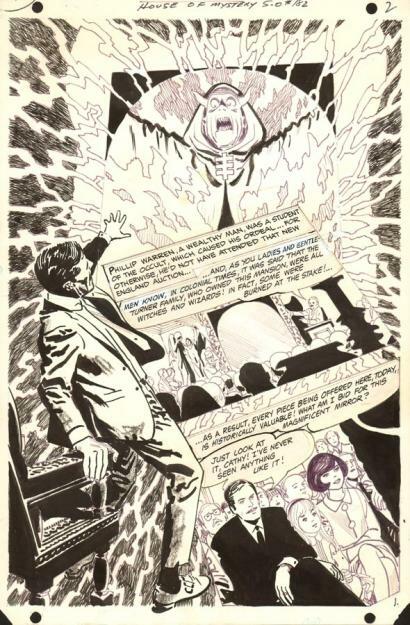 When Steranko started the project he decided to fly out to meet Lucas, and over dinner, though he never saw a script, Jim got a feel for the character and the essence of Jones and how to portray him. Lucas stressed that Raiders was not to be a suspense film, but an all out action flick, set in exotic locales that were almost fantasy, with a larger than life hero, and enough cliff-hangers to stock a twelve part serial! 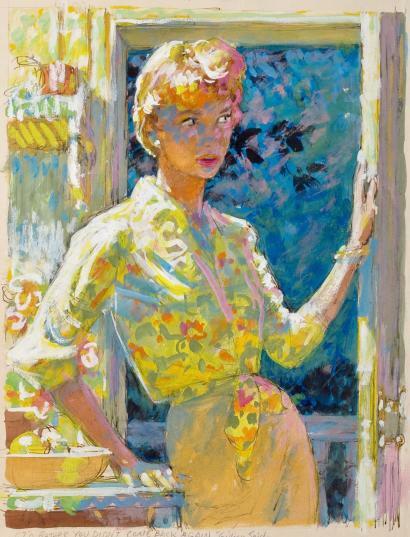 A few months after that meeting, and a slight delay for painting and deleting certain aspect from the images, Jim requesting even more details about the film from Lucas. 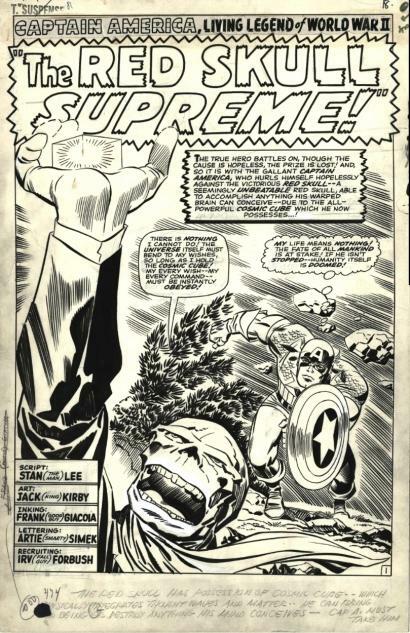 But it was finally worth the wait, since Steranko eventually provided some stunning images of Indiana Jones in some now classic cinematic scenes. 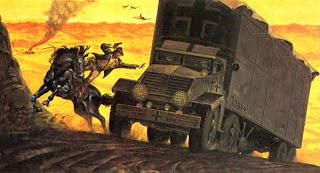 Included in the four paintings was the savage Nazi fist fight under the German Flying Wing Airplane, and the iconic image of Jones leaping from horseback to a speeding Nazi Army truck (the image that inspired it all - from the Zorro serial), as well as an Inca tomb shot with cobra, and a broiling desert scene with Arab fighters. 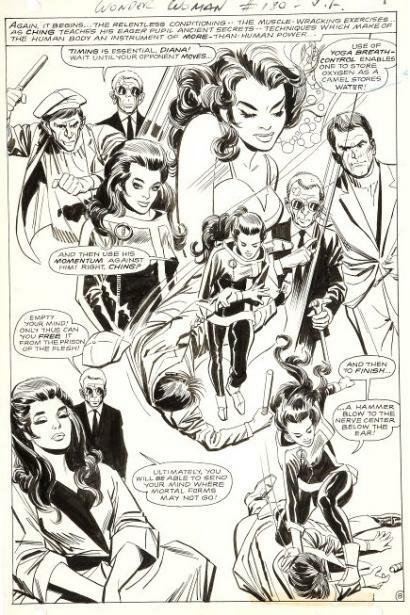 Steranko conjured up a hero that was a cross between Bogart and Doc Savage, who eventually turned out to be the ultimate pulp adventurer, and helped seal the deal with the studio to green light the production. 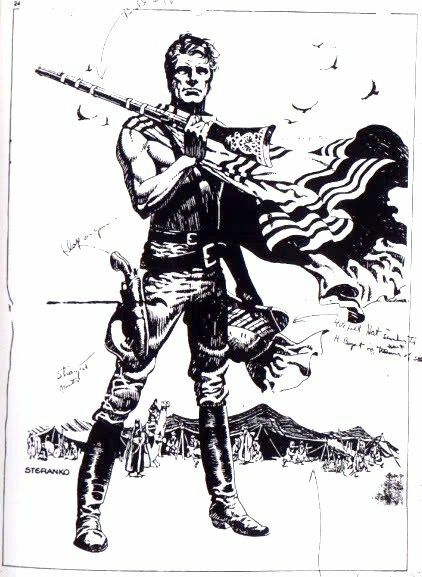 Lucas must have known this artist was the right man for the job, since he wrote his early notes to Jim on two pieces of his artwork that had appeared in a 1976 issue of Lone Star Fictioneer featured here. 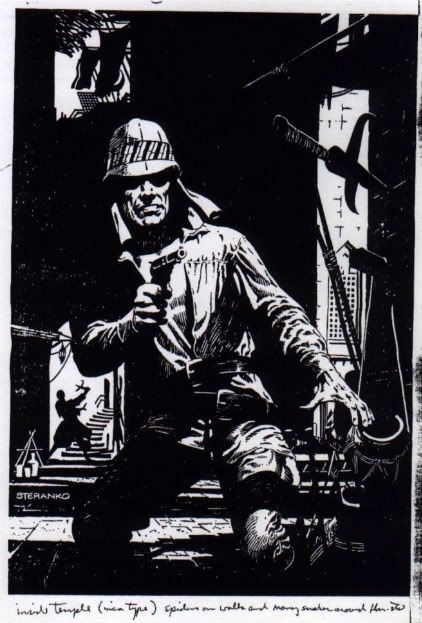 A fanzine dedicated to the works of Robert E. Howard's pulp stories, they were images of his mercenary, El Borak, whose adventure tales were set in the Middle East during World War I. Lucas' notes told Steranko to change the hero to have a 1940s felt hat, some straight pants, leather jacket, a bull whip instead of a rifle, and other suggestions to define the correct image. Lucas once stated, "If I could be a dream figure, I'd be Indy". 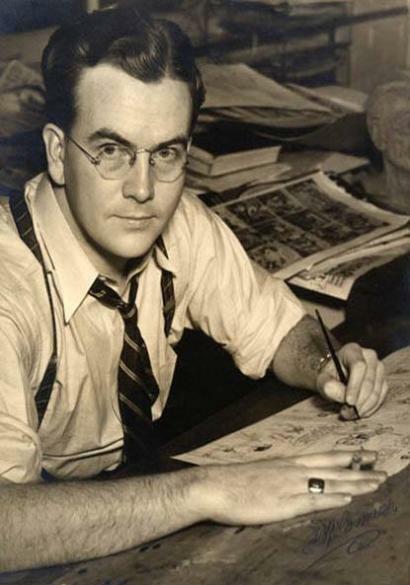 It was not just George's interest in anthropology and archaeology, which has been featured in many of his films, but that Indiana Jone could just do anything. 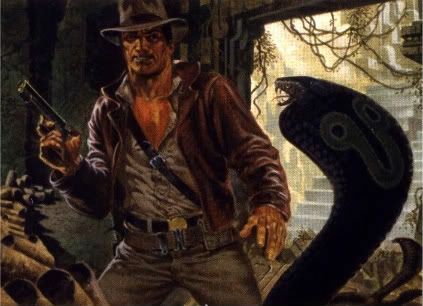 Dr. Jones was a combination of a lot of different 1930s heroes all rolled together. 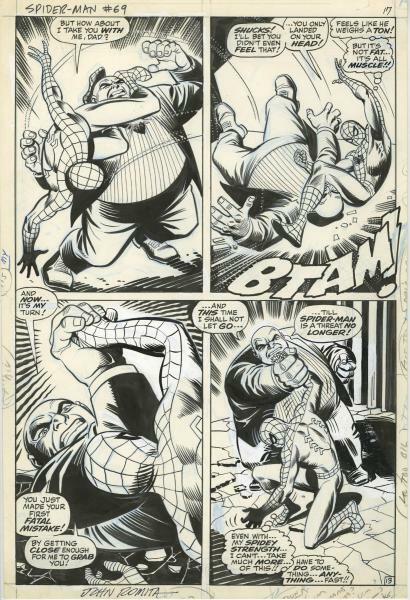 Frank Thorne's "A Bullett for my Brother"